This weeks match was a rover on all ponds with the exception of Longs which was booked for a club match, so given that I hate Lily lake and have only fished Willow once, I would be a praying for a fairly early choice so I could pick one of the pegs on the far side of Sellicks, namely 15-21 although 11 or 13 have been okay as well. I picked Janders up and we got to Bridgwater nice and early only to find the car park was already rammed with spaces at a premium! We paid our pools and there were 25 booked in for today which would mean an early choice would be essential to get on Sellicks. In the end there were a few no shows but we still had 21 fishing. The first job was for someone to pick a golden ball and Chris M pulled out twenty first choice and then when it was his turn to draw he pulled out first choice so both ends of the spectrum then!Janders went into the bucket next and came back with choice number four, I stuck my hand in and my ball had the number 18 on it which meant I was up against it already. After everybody had drawn it was time to choose your pegs. 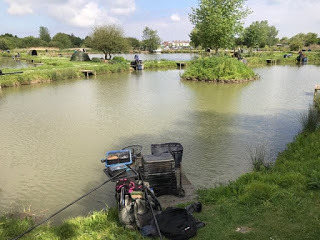 All the ponds and pegs were on the whiteboard and there were a few stipulations, only odd numbered pegs could be chosen and we had to fit around a few pleasure anglers insuring they had a spare peg either side. Predictably, all the favoured pegs on Sellicks went early on with 23 (Chris), 17 (Roger), 13 (Jeff S), 19 (Janders) and 11 (Gary) being the first five pegs chosen, in fact by the time it was my turn, there were no pegs left on Sellicks and only one left on Willow, there were spaces on Lily but I wasn’t going there so it was either a gamble on Perch Pit which I’d never fished before or go on peg 11 on Willow and in the end, that’s what I went for. I’d only ever fished Willow once, a few years ago, and had quite a nice day catching lots of little tench along with the odd skimmer and small carp. Asking around the general consensus was that 10lb of silvers would be a good weight on Willow and I thought that might be enough to sneak in the frame today. My peg was on the far side and there was just me and a pleasure angler over there with five anglers on the near side. I set up a 10 x 11 MW F1 Slim for fishing three longer lines and a 0.3 gram NG Mini Gimp for two five metre lines. 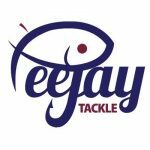 On the whistle I cupped in some micros at 8.5 metres, two lines at 10 metres and two at 5 metres before starting at 8.5 metres with a 4mm pellet on the hook. Bites came quickly but two small roach in as many chucks wasn’t the start I’d hoped for. 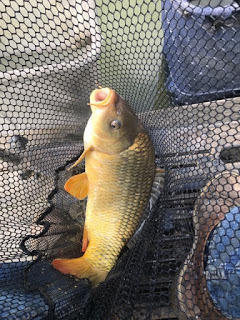 I switched to the central 10 metre line and had to wait longer for a bite and the result wasn’t a small roach but a 2lb carp which wasn’t what I’d hoped for either. I had another and then hooked a fish which didn’t feel like a carp but it came off and when I shipped back there was small scale on the hook and I was already getting a sense of how this day was going to go! I moved to the right hand line but small fish were ragging the soft pellet, as the first hour came to a close I managed a 6oz skimmer from middle 10 metre line and Adie Bishop had netted one as well so at least there were a few better silvers about. Alvin Jones on the end peg was catching carp well and the land on the other end peg was getting a few but the angler opposite me was really struggling and I hadn’t seen him catch yet. I had another slightly better skimmer but those small fish were being a real nuisance and I was starting to wish I’d brought some maggots as I reckon I could have caught a fish a chuck. Adie shouted across that Alvin had landed a near 2lb perch and Jess Jordan next door had a decent one as well and I was pretty sure he was using chopped worm and caster. I was switching between the three longer lines but all I could catch was the odd small roach so a quick rummage in the carryall resulted in some pots of soft pellets which are a bit more durable than expanders so I put one on in a bid to deter the small fish. It worked to a certain extend but now I was having to wait ages for bites, I did manage another 6oz skimmer, one around 2oz and a 4oz perch! I was also still getting the odd carp and netted a couple around the 5lb mark. Then I hooked a fish which turned out to be a little tench but with only a couple of hours to go I probably didn’t have 2lb of silvers yet! 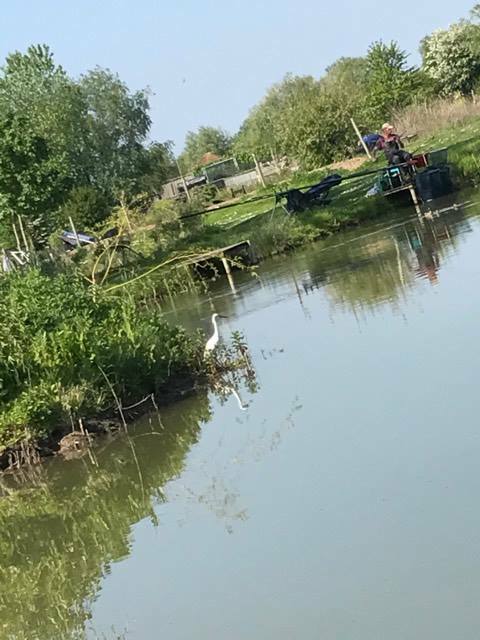 Adie had a big perch and then added a decent eel and with the bankside grapevine hinting that some of the better silvers pegs on Sellicks were struggling, I thought he might have a chance of sneaking in the frame. I hooked another carp that lead me a merry dance before going under the pallet and after much faffing about, I lost it, the rig was in a right mess and I wasn’t enjoying myself very much at all. The highlight of the day was seeing a white egret land by the island, you can just about make it out in the photo below but my photography skills were probably on par with my silvers catching skills today! Plenty of time for birdwatching today! The lad opposite packed up with an hour to go and during the last sixty minutes I only added a few small fish and a couple of carp and was ready for the all out when it came. 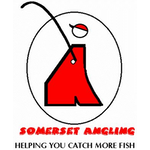 I took my kit back to the car and when I caught up with the scales the far side of Sellicks had already been weighed in, Roy Hughes was leading the way with 105lb 12oz from peg 21 which included 12lb 9oz of silvers, Roger Russell and Janders had 3lb 10oz and 3lb 9oz of silvers and then Jeff Sparkes had a lovely net of tench, skimmers and crucians weighing 17lb 15oz from in-form peg 13. 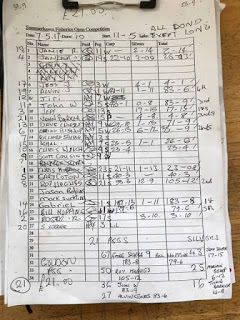 There were only three anglers on Lily lake which hadn’t been great with Scott Cousins and Steve Kedge not bothering to weigh and Bill had 79lb 6oz from peg 11. 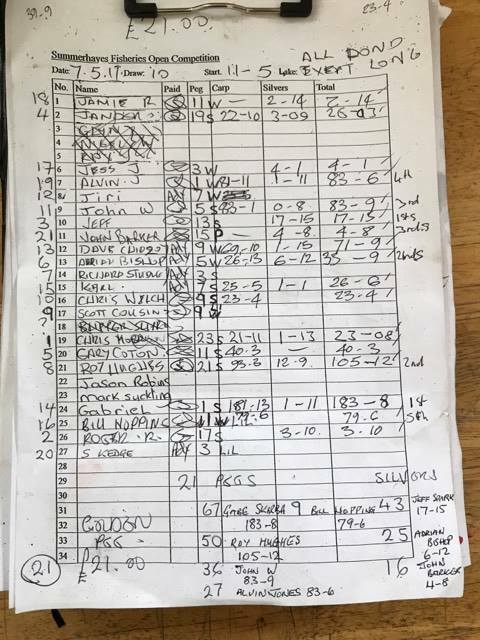 Willow was next and Dave Chidzoy had 71lb 9oz from peg 9, Adie had 6lb 12oz of silvers, Jess had 4lb 1oz and then Alvin had 83lb 6oz to go into third spot. I only weighed my silvers in for the sake of the side bet and my meagre catch was 2lb 14oz so I lost that as well to finish off an uninspiring day. I chucked back my ten carp which would have gone 20lb or so. The only angler brave enough to go on Perch Pit was John Barker and he had 4lb 8oz of silvers before the scales party headed back to Sellicks, young Karl Aplin had 26lb 6oz from peg 7 and then John W had 83lb 9oz to pip Alvin by 3oz, last but certainly not least was Gabe Skarba on peg 1, fresh from setting a new match record on Sellicks on Wednesday, he won again today, this time with 183lb 8oz. So a really disappointing day and I should have taken a gamble and gone on Perch Pit, still at least the weather was nice! Next Sunday, I’m at Sadborow, which I haven’t fished for a long, long time and its been fishing really well but there are two or three hot pegs so lets hope my drawing arm returns to form by then!